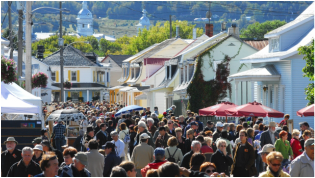 Baie-Saint-Paul is a heritage city that still counts today centenary houses. It attracts many artists and tourists who come to enjoy the magnificent scenery , art galleries, shops and gourmet restaurants offering many dishes prepared with local foods . Nestled between the mountains and the St. Lawrence River, the scenery is majestic wherever we find ourselves . The nature lovers and outdoor amateur are sure to find activities to enhance their stay . Several cultural centers are also to be discovered: Paul - Médéric's art center , René Richard's Home and Baie-Saint-Paul's museum of contemporary arts. The famous Route du fleuve (River Sector) ( Route 362) is 58 km long, overlooking the St. Lawrence River, between Baie-Saint-Paul and La Malbaie, crossing picturesque villages like Saint-Irénée and Saint-Joseph- de-la -Rive . Game amateurs can head to Pointe -au- Pic, where we find the famous Casino de Charlevoix. A little further east , Petite-Rivière-Saint-François is the birthplace of the colonization of Charlevoix. 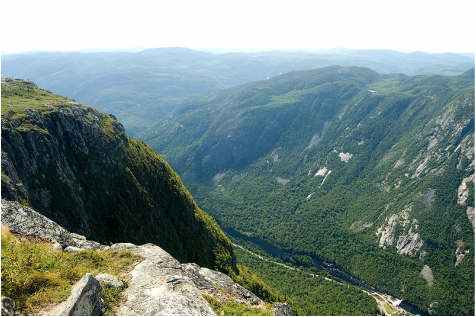 In winter , this place is popular for skiers and snowboarders wanting to descend the highest elevations east of the Rockies, the Massif de Charlevoix. The most adventurous can even sled down the mountain. 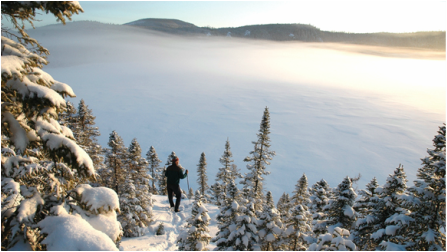 Charlevoix has an impressive number of excellent activities to customize your holiday , hiking , skiing , snowboarding , kayaking , casino, snowmobiling, horseback riding . skating at le Genèvrier ou municipal skating rink.